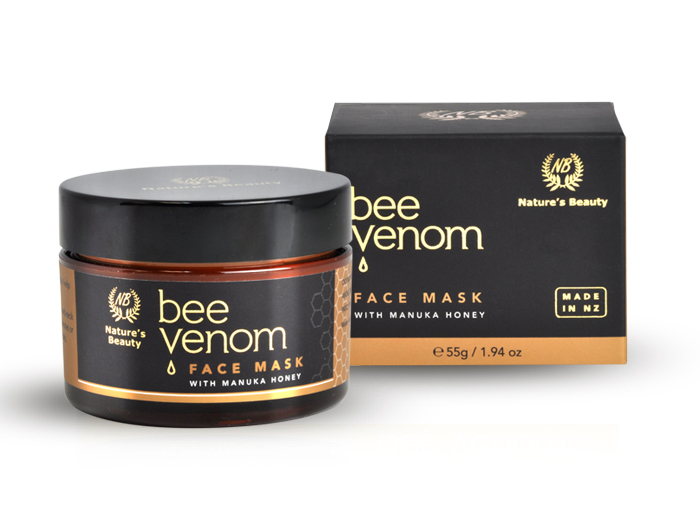 New Zealand Bee Venom Face Mask is the natural face lift treatment favoured by the Royal family and celebrities. 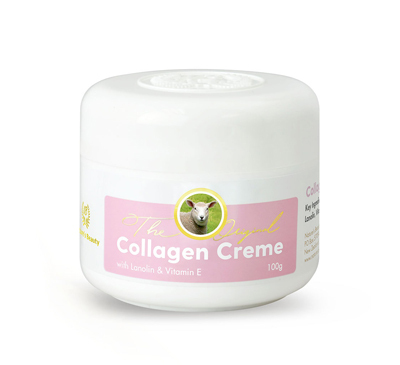 Formulated with New Zealand Bee Venom, popularly dubbed ‘Natural Botox’, it penetrates deeply into the skin to increase blood circulation and stimulate the production of natural collagen and elastin to help fill out fine lines and wrinkles for younger, firmer looking skin. Other natural ingredients with proven natural healing properties have also been added to help fight the skin’s visible signs of aging. 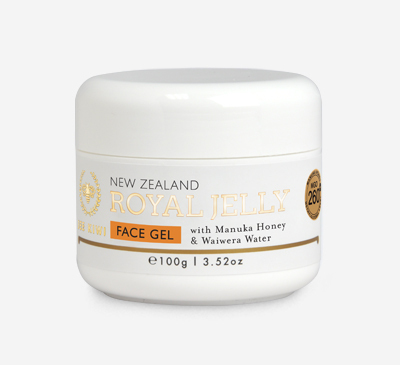 New Zealand Manuka Honey has anti-inflammatory and anti-bacterial healing benefits to help soothe skin from the ravages of weather. Easyliance is a natural instant skin tightener, and Evening Primrose Oil is rich in anti-aging oxidants to help your skin achieve a firmer toning effect. Generously apply to face and neck after cleansing. Wash off after 15 minutes or leave on overnight for optimum results. Always patch test all skincare products before full use. Aqua (Water), Glycerine, Easyliance (Hydrolyzed Rhizobian Gum & Acacia Senegal Gum), Cetearyl Alcohol, Octyl Palmitate, Decyl Oleate, Cetearyl Alcohol & PEG-20 Stearate, Glyceryl Stearate & PEG-100 Stearate, Leptospermum Scoparium Mel (Manuka Honey), Ceteareth-20, Isopropyl Myristate, Oenothera Biennis (Evening Primrose) Certified Organic Oil, Persea Americana (Avocado) Certified Organic Oil, Sodium Polyacrylate, Diazolidinyl Urea, Phenoxyethanol, Prunis Amygdalus Dulcis (Sweet Almond) Oil, Tocopheryl Acetate (Vitamin E), Allantoin, Bee Venom, Oleoresin Capsicum, Fragrance.